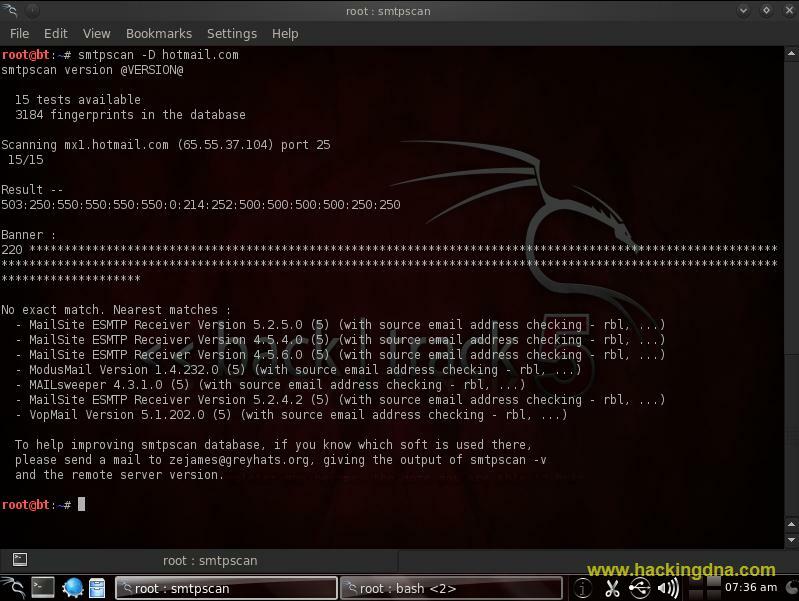 Smtpscan is a remote SMTP server version detector. 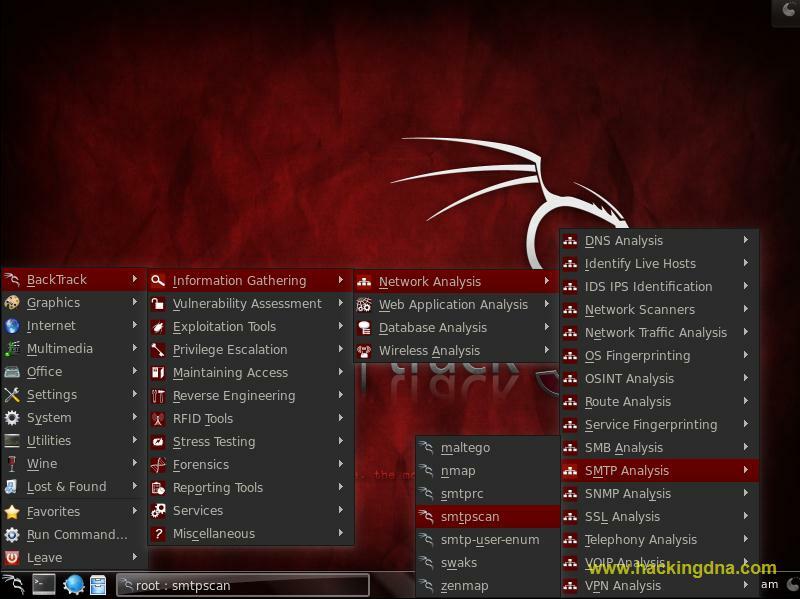 It can be used to guess which mail software is used on a remote server, that may hide its SMTP banner. Smtpscan works by testing the remote SMTP server reaction, thanks to tests defined in the tests (/usr/local/share/smtpscan/tests) file. Almost all of those tests consists in weird SMTP request, whose answer is not precisly defined in the corresponding RFCs. Some other times, they check whether the remote SMTP server is simply RFC compliant. After each test, remote server returns a SMTP Error Message. Fingerprints are made of SMTP Error Messages corresponding to the tests. Due to the fact that server reaction may be modified by its configuration, smtpscan tries to detect the nearest fingerprint if there is no exact match, that is it finds the fingerprint(s) that have the fewer different Error Messages. Currently, 15 tests are used to guess the remote server version. Some other may be added in the future. Scan all the Mail Exchangers of the specified domain (see -D switch), that is scan every IP address returned by a MX DNS request (beware of 'virtual IPs' or load balancing). 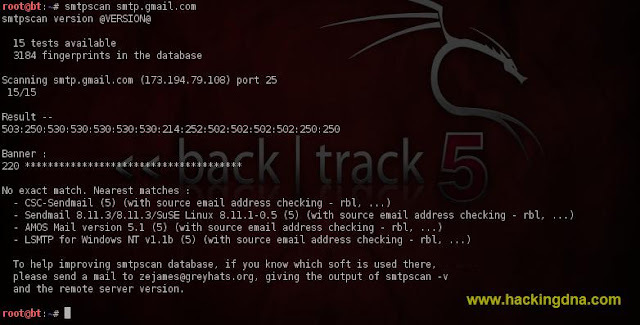 Scans remote host smtp.gmail.com to guess its smtp software version. Scans the yahoo.com first Mail Exchanger (may be different servers while trying several times, because of DNS CNAME). Scans the inbox.com secondary Mail Exchanger. Scans all the yahoo.com Mail Exchangers found, and sets the timeout at 30 seconds .Also using the verbose (-v) option.